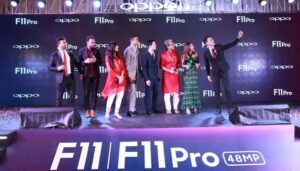 OPPO, one of the leading global smartphone brands, has expanded its F series portfolio of smartphones in Bangladesh with the launch of OPPO F11 Pro and F11. The launching ceremony took place at Le Meridien Dhaka yesterday. Mr. Damon Yang, Managing Director of OPPO Bangladesh; Ekram Kabir, Vice President, Corporate Communication, Rabi Axiata Ltd; Cricketer Taskin Ahmed, Actress Sabila Noor, Photographer Prito Reza, Iftekhar Sunny, PR Manager, OPPO Bangladesh and Iono, Brand Manager, OPPO, Bangladesh were present at the event along with other high officials from OPPO. OPPO F11 Pro is priced at BDT 36,990 and is available in Thunder Black and Aurora Green color variants. On the other hand, OPPO F11 is available at BDT 27,990 and will be available in two dazzling color variants marble green and fluorite purple. As one of the favourite camera phone brands of young people everywhere, OPPO has always been committed to providing creative youths with the inventive mobile phones. Building on the ground breaking camera innovations earlier, OPPO’s F11 Pro and F11 have elevated the F series to a higher level by calling the brand from “Selfie Expert” to “Brilliant Portrait”. Supported by OPPO’s powerful camera technology, F11, and F11 Pro are both equipped with the most advanced camera system of the F series. As the rear camera has been greatly upgraded, F11 Pro and F11 feature an ultra-high standard 48MP+5MP dual camera system, F1.79 aperture, ball- bearing closed-loop VCM, 6P lens, and 1/2.3-inch image sensors to bring in better light. In bright light environments, the devices can directly output 48MP ultra HD pictures. In dark environments, “Tetra cell Technology” analyzes and combines the data acquired by four adjacent pixels to make it equivalent to a single pixel of 1.6μm, doubling the size of the photosensitive pixel and shooting brighter and low-noise night portraits. 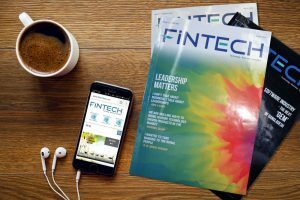 F11 Pro and F11 have been designed to be as fluid and streamlined as possible. Its magnificent panoramic screen has been designed to hide the front camera, making it “Notchless” and creating a stunning full screen. Compared with traditional mobile phones its 6.5-inch display screen and screen-to-body ratio of up to 90.9% delivers larger images and more visual space to live out eye- catching entertainment and gaming experiences. OPPO F11 Pro and F11 have battery capacity of 4000 mAH and 4020 mAH and RAM of 6 GB and 4 GB respectively. Both versions pack a ROM of 128 GB. The handsets also come with 12 GB data for Robi and Airtel customers. All existing and new Robi and Airtel Pre-paid and SME customers will be able to avail 12 GB data (3GB 4G data + 3GB my sports data + 3GB Robi screen + 3GB splash) with the purchase of OPPO’s new F11 Pro and F11 handsets. The data offer will be valid for 30 days. 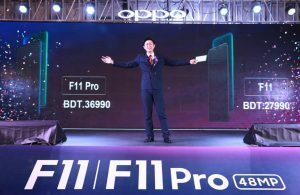 OPPO’s both new handsets F11 Pro will be available in the market from April 19, 2019.